If you have not read Part 1 (it’s good!) take a peep. Perhaps the most important factor on this entire list, but surprisingly the most often overlooked. 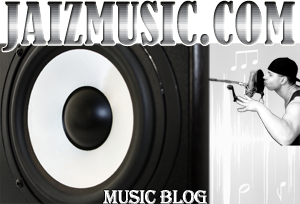 While there is plenty of phenomenal music out there, the bottom line that you have to fit a SoundCloud pages taste to make it on one; it’s a lot like getting on a blog. You may be an incredible country artist, but no electronic playlist worth their salt is going to post you because they will lose followers. While there are always exceptions to the rule (a trap remix of a pop song might be posted on an EDM playlist), the majority of the time you will be turned down. It may even offend some curators, who will write you off for wasting their time in the first place. Don’t be “that guy.” Do your research and respect people’s personal tastes. What is your color scheme? Does it align with other colors used in the cover art of artists featured? For example, take Run the Trap‘s page. Notice anything? Very few artists in their genre are actually featured on cover art. It’s mostly graphics, an a lot of severe color schemes. While branding admittedly is not a “make or break” factor in determining placement, it’s the first thing people see, and that leaves a lasting impression. If you are an artist that is just starting out, it’s best not to expect huge placements from the get-go. This entire industry is a build, and baby steps are often part of the journey. Take a look at other things posted when submitting – do all tracks miraculously have over 100,000 plays each, while you’re stuck at 50? If so, you probably aren’t ready for that account. Rally your fans to help grow your engagement, or get some key press placements to help. There are also a TON of mid-tier SoundCloud playlists run by individuals who just like good music, and will be more than happy to help you out. Slow and steady often wins the race, and there’s no shame in that. We’ll be back next week for the last installment in our SoundCloud crash-course. See you then! In the meantime – click this image to see how we can help you get on playlists!